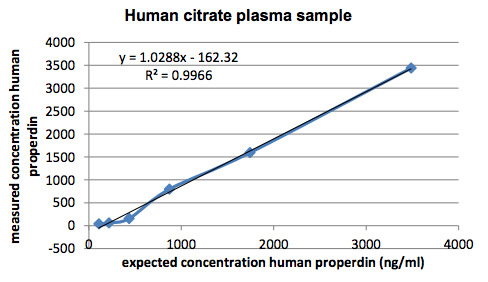 The human Properdin ELISA kit is to be used for the in vitro quantitative determination of human Properdin in serum, plasma, bronchoalveolar lavage fluid, urine and cerebrospinal fluid samples. Product should be stored at 4°C. Under recommended storage conditions, product is stable for one year. Have you cited DEIA-XY2168 in a publication? Let us know and earn a reward for your research.